Main classification of boring machine_News_Xinxiang Lantu Machinery Co., Ltd. The boring machine is mainly a kind of on-site processing equipment for repairing the construction machinery site. It can not only boring the cylinders and hydraulic cylinders of the vehicle, but also boring other machine tools. Its main features are easy to carry, small footprint and high precision. 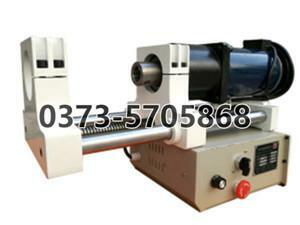 The boring machine mainly has small boring machine and portable boring machine. The small excavator boring machine is required to be small in size, light in weight and easy to install and operate. Therefore, it is required to pay attention to the mechanical configuration. The power material structure of the drive system is designed to achieve the desired effect. The main advantage of the small excavator boring machine is that it is small in size and light in weight, because the portable machine is suitable for one person or two people, especially when used in the field. The portable boring machine is a more convenient and convenient boring machine based on the original products and other similar products. It adopts an aluminum motor casing, which reduces the weight of the fuselage itself and is very good. The heat-dissipating effect is also lighter and more convenient than the traditional iron casing. The gears of the decelerated gears are ground to eliminate the original noise and prolong the service life of the machine. The boring machine is small in size, convenient to carry, suitable in price, reliable in quality, and free from the limitation of location and space, and can be processed at any time and place. What are the benefits of using a light boring machine?